Shocking, I know, my levy dropped by R136 for real. I was in shock. I have bought into the sectional title schemes from the year 2001 and I never got a letter that I received last month. At the best, my levy remained the same. As usual I was scanning through the letter rushing to the bottom line. How much more will I have to part with exactly??? Geez, a decrease in levies, of more than R100 nogal. My guess is that we had excess in our savings/ scheme funds. These can’t be refunded to the owners according to the law, but can serve as a subsidy for future levies. And YES, I didn't attend the meeting, I was traveling. Not to dampen this moment of excitement, but I have to mention that my security costs are shooting way up in two of my units. I’m installing trellis in one and paying about R500 extra levies for security guards in the other. When will this craziness end good Lord? 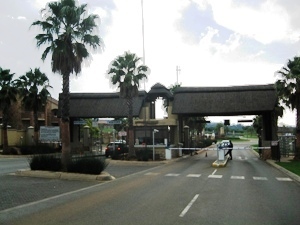 Levies can be required for Free Standing properties in gated communities and boomed off areas. That is for security and we know we need a lot of that. In my next post I will write about the cost of security for property investors in SA today. It is possible for Home Owners Associations to actually go bankrupt. In that case, it may be liquidated. This is a reason prospective home buyers should always investigate prior to buying into the sectional title scheme. Whether it’s a rental unit or for their own use. You should also investigate the levies to determine the affordability. The levies are just very high these days. That’s due to the cost of security. I pay up to R2500 for some units. This is inflated by security and the municipal rates and taxes.